← Think You Have Grounds for a Bid Protest? Your Time to Act Is Now. UPDATE 3/11/14 7:00 p.m. I just received word that the N.C. Land Title Association believes it needs more time to explain to other construction industry stakeholders the concerns giving rise to its legislative proposals. As a result, NCLTA has decided not to pursue its current proposals as part of the legislative study committee’s recommendations for legislation during the upcoming short session. NCLTA will seek to discuss its concerns with interested stakeholders over the next few months in the hope of reaching a consensus on solutions that can be recommended as legislation during the 2015 long session. In the interim, I am leaving this post up for informational purposes only. With apologies to Yogi Berra, it’s déjà vu all over again. Like in 2012, when the N.C. Land Title Association (“NCLTA”) successfully guided lien agent legislation through the North Carolina General Assembly’s short session, the organization is once again promoting a policy proposal widely opposed by the contracting community in advance of the Legislature’s May reconvening for its abbreviated 2014 get-together. This time, the NCLTA has the Claim of Lien Upon Funds in its sights. (1) The Claim of Lien Upon Funds is commonly used by first, second and third-tier subcontractors and suppliers to tie up money owed by a project owner to a prime contractor. An owner receiving such a claim is under a duty to retain any funds subject to the lien; otherwise, the owner becomes personally liable to the extent of any wrongful payments it makes, and its real property becomes subject to a lien commonly known as a “direct liability” or “wrongful payment” lien. (2) The power of the Claim of Lien Upon Funds comes from the leverage it provides. To avoid personal and real property lien liability, the owner must freeze payments to its prime in the amount of the unresolved claims of lien upon funds it receives. That impedes cash flow, making project completion difficult. By gumming up the works, liens upon funds have a tendency to force owners and prime contractors to work together in resolving non-payment (and all corollary) issues timely. (3) Under current law, no act of the prime contractor can impair the “direct liability” lien rights of subs and suppliers upon an owner’s wrongfully “paying over” a valid Claim of Lien Upon Funds. That would change under NCLTA’s legislative proposal, which would make the “direct liability” lien of a subcontractor or supplier “subject to any subordination signed by the contractor prior to the receipt of the notice of claim of lien on funds” by the owner. That means if a prime contractor signs a subordination agreement with a lender during the course of a construction project, any “direct liability” liens arising from an owner’s wrongful payment of a Claim of Lien Upon Funds received post-subordination would have inferior priority as against the lender’s interest. And as folks in the construction industry know all too well, when your lien rights are parked behind the lender, it can be like having no lien security at all. (4) NCLTA’s proposal was transmitted to the General Assembly last Wednesday, February 26. The contracting community’s reaction was swift and uniformly negative, as demonstrated by the responses provided by the Building Material Suppliers Association, the National Association of Credit Management, the American Subcontractors Association of the Carolinas, Carolinas AGC, the North Carolina Aggregates Association and the Carolinas Ready Mixed Concrete Association. (5) NCLTA’s proposal seeks changes beyond what’s discussed in this post, including a change to the lien agent statute that would permit the owner to appoint a lien agent in the middle of a project. Those proposed modifications to the law also warrant your time and attention, and so I encourage you to read the materials linked in paragraph (4) above in their entirety. I will be attending today’s 1:00 p.m. meeting of the House Committee on Mechanics’ Liens and Leasehold Improvements, which is expected to address not only NCLTA’s proposal, but also several legislative proposals addressing liens on leaseholds. I’m expecting a packed committee room and a robust exchange. As always, I will keep you posted. In the interim, please feel free to comment below to offer your unique perspective. UPDATE 11:00 a.m. 3/3/2014: Today’s Committee meeting has been postponed until Friday due to the threat of winter weather. UPDATE 9:15 a.m. 3/9/2014: I attended last Friday’s rescheduled Committee meeting. Representatives of the title insurance industry stated that their intention was NOT to weaken the “direct liability” lien rights of subs and suppliers, but rather to ensure that when prime contractors sign subordination agreements, the “subrogation” lien rights of subs and suppliers (i.e., the lien rights that flow through the rights of prime contractors) are similarly subordinated. As Jason Herndon, a construction attorney with Parker Poe, pointed out for the Committee, however, that’s already the law. 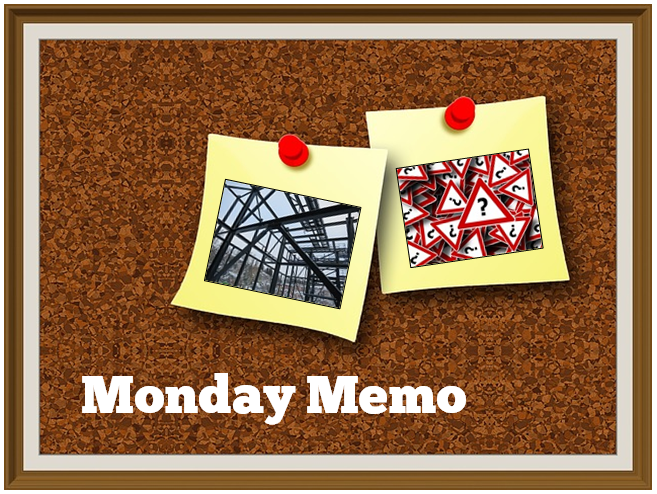 In any event, industry stakeholders will gather at 10:00 a.m. on Monday, 3/10/14, in an attempt to agree upon statutory language that might address the title insurance industry’s concerns.